After last week’s sweeping win over the San Francisco 49ers, the Dallas Cowboys are preparing to face the Washington Redskins on Sunday. With the Cowboys and Redskins sitting second and third, respectively, in the NFC East standings, this game is likely to be a tough match between two teams with similar records. 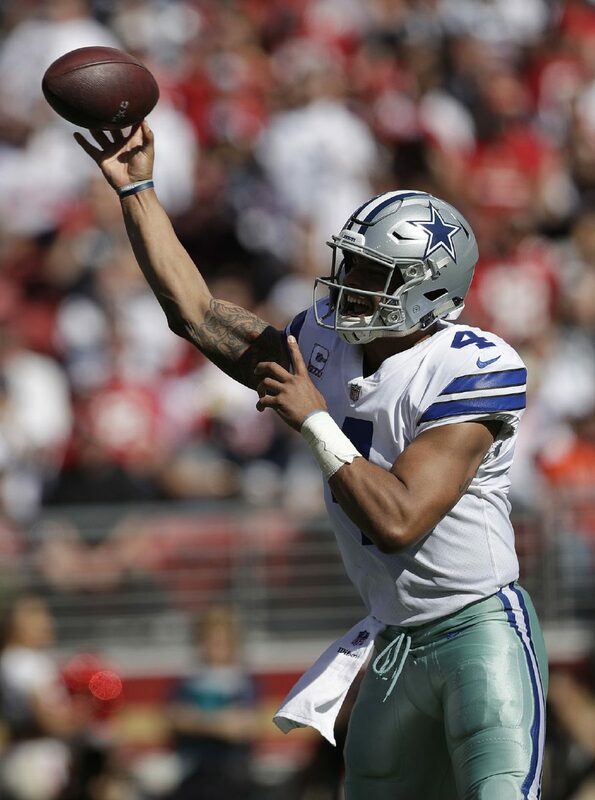 Dak Prescott, whose popularity is at an all-time high with his merchandise selling more than any other player in the league, is only in his second season but already has seven career games with at least three touchdown passes and one or no interceptions. For the year, Prescott has completed 128 of 204 passes (62.7 percent) for 1,426 yards, 14 touchdowns and 4 interceptions. He has also run for 3 TDs. Dallas Cowboys quarterback Dak Prescott (4) runs against the San Francisco 49ers during the first half of an NFL football game in Santa Clara, Calif., Sunday, Oct. 22, 2017. Washington Redskins quarterback Kirk Cousins works out prior to an NFL football game against the Philadelphia Eagles, Monday, Oct. 23, 2017, in Philadelphia. 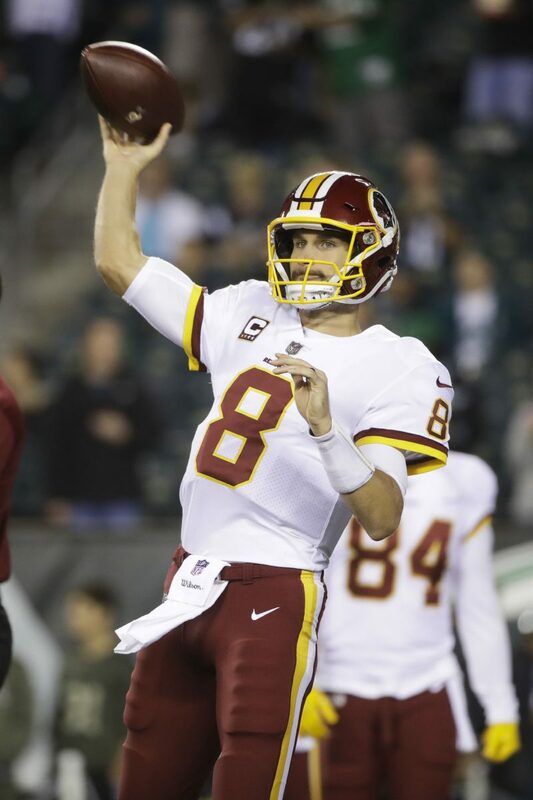 His counterpart, Redskins quarterback Kirk Cousins, tops the NFC by averaging 8.3 yards per pass attempt. He also leads the league with a 107.2 passer rating. He has passed for at least 300 yards in three of his last four games and has thrown multiple touchdown passes in all four. On the season, Cousins has completed 135 of 198 attempts (68.2 percent) for 1,637 yards, 12 touchdowns and 3 interceptions. But this showdown, as is the case in most games, will not be determined solely by the quarterbacks. The supporting cast around them will be equally important. The Redskins’ offense is full of injuries, so it is unclear who will play against the Cowboys. On Wednesday, Washington held a walk-through instead of a normal practice because of how many team members could not participate.